Clint Eastwood is a total package for Film Industry. He direct, produces and then cast himself in his own movie. If you are thinking that’s the end, no it isn’t because his directional venture goes for Oscars too. He gets nominated in different categories as best actor, best director, and best picture.He is one of two people to have been nominated for Best Actor and Best Director for the same film which are Unforgiven and Million Dollar Baby. His directional debut was Play misty for me (1971) and afterwards he has directed 36 more movies. He is currently working on The Mule (2019) as a director and actor alongside Bradley Cooper. No one can deny that Clint Eastwood is a legend when it comes about western movies. He has acted and directed many western movies and Unforgiven is one of my favorite. The film won four academy awards for best director, best picture, best supporting actor and best film editing.He emerges himself as Munny, a former gunslinger returned to his life of killing for money. The movie is a perfect example for heroism, courage, violence, friendship and revenge. With David Webb Peoples, he created some of best unforgettable characters and moments, especially the last one where Munny threatened the people before leaving the town. Unforgiven is one of the best Clint Eastwood Movies directed. “All right now, I'm comin' out. Any man I see out there, I'm gonna shoot him. Any sumbitch takes a shot at me, I'm not only gonna kill him, but I'm gonna kill his wife. All his friends. Burn his damn house down.” – Munny. How much a war could affect soldiers when they get back to the civilian life? 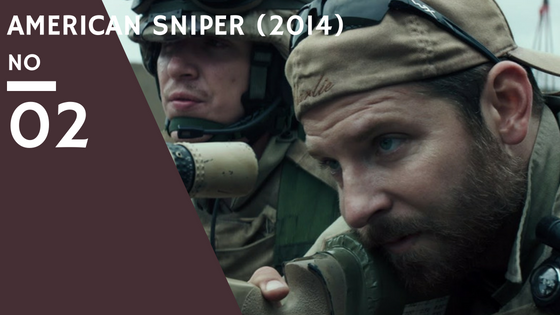 The right and visual answer for that is American Sniper, based on the life of Chris Kyle, a war hero, deadliest marksmen in US Military who killed 255 terrorists from four tours. Directed by Eastwood, get to the core of a soldier who unable to adjust to the civilian life, generally haunted by all the killing and sufferings from war. The film stars Bradley Cooper as Chris Kyle and Sienna Miller as Kyle wife Taya. This was the second time he won another academy awards in the same category (Best Picture and Best Director) as he won for Unforgiven. Million Dollar Baby is another masterpiece by C. Eastwood, a pure and heart touching story of an aging boxing trainer and an underdog amateur boxer who aspires to become a professional. The film has some knockout performances from Eastwood, Hilary Swank and Morgan Freeman and as well as the direction of C. Eastwood. The movie won 4 academy awards in four category- Best Picture and Best Director for C. Eastwood, Best Actress for Hilary Swank and Best Supporting Actor for Morgan Freeman. 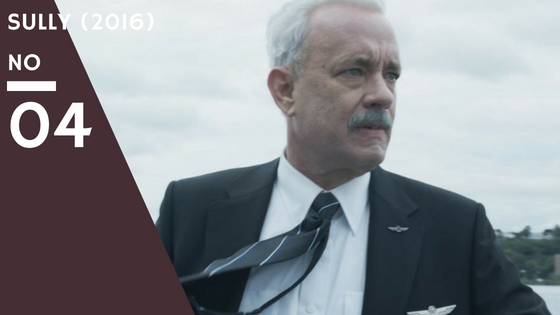 Based on the autobiography Highest Duty by Chesley Sullenberger and Jeffery Zaslow, he made a comeback with Sully in 2016. The film follows the real incident where Sullenberger lands U.S Airways Flight 1549 on the Hudson River in emergency with 155 passengers and crew members without any serious injury. He build an intense drama and suspense with top-notch performance by Tom Hank. Directed and produced by Eastwood, Sully is one of the most successful film he ever had. After a long acting break of 4 years, he made his comeback as Walt Kowalski in Gran Torino which was his 29th directional venture. Gran Torino is the first American Film to feature Hmong Americans in a full length. Written by Nick Schenk, C. Eastwood made this one alive with his direction and acting skill. The movie follows the life of a lonely retired auto worker and Korean War Veteran Walt Kowalski who stands up to the gangbangers who tried to force an Asian teen to stole Walt’s car. I remembered his dialogue “Get off my lawn“. Men, at the age of 78 he played this character as an action hero, bring it off to take out any one balls who try to get in his way. Gran Torino was both critical and commercial success for Eastwood and one of his best direction venture. Long Hail, Eastwood. 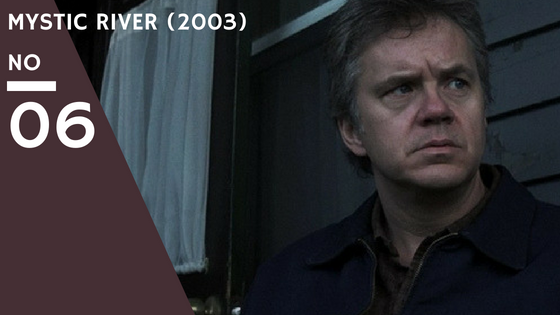 Just a year before the success of Million Dollar Baby, he directed and produced Mystic River (2003) which was nominated for 7 Academy Awards but won in two categories, Best Actor for Sean Penn and Best Supporting Actor for Tim Robbins. Eastwood nominated for Best Director but loose to The Lords of Rings: The return of the King. Mystic River was very well received by both audience and critics, mainly for the performances of main cast and direction of Eastwood. Mystic River was an intense thriller drama with great performances of lead casts and top-notch direction of Eastwood. 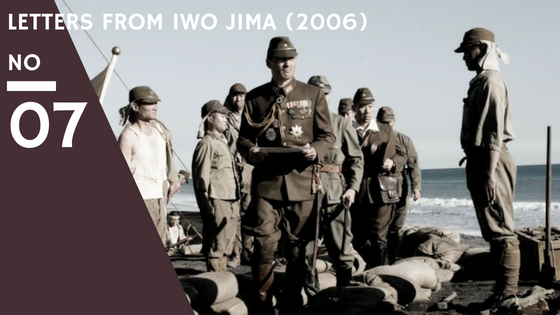 Eastwood took his skills to a new level In order to make a joint Japanese-American war film, Letters from Iwo Jima (2006). Actually he directed two films, Letters from Iwo Jima and Flags of Our Fathers, one from the perspective of Japanese soldiers and one from American Soldiers respectively. More appreciated was Letters from Iwo Jima which is almost entirely in Japanese. The film was highly praised by critics for its performances, writing, characters and direction. Again, Eastwood nominated for Academy awards for Best Direction. However, the film won one Academy Award in Best Sound Editing Category. The Bridges of Madison County is a rare Eastwood movie as it’s not a crime or action movie. The film is a Rom-Com which is very rare for him. The film stars Eastwood himself and Meryl Streep in lead roles. 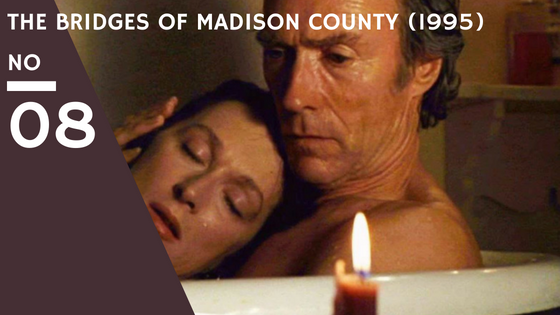 Based on Robert James Waller novel The Bridges of Madison County, the film directed by Eastwood which is mostly recognized for Western and crime-action movies leave his comfort zone and ended up directing romantic-drama film with powerful performances of Eastwood and Meryl Streep. The movie is about an Italian war bride, living her life with his husband and two children in Iowa and ended up in love with National Geographic photographer which changed their lives. A Perfect World is the movie where Eastwood think of taking a break from acting and work behind the camera to have more focus on direction. 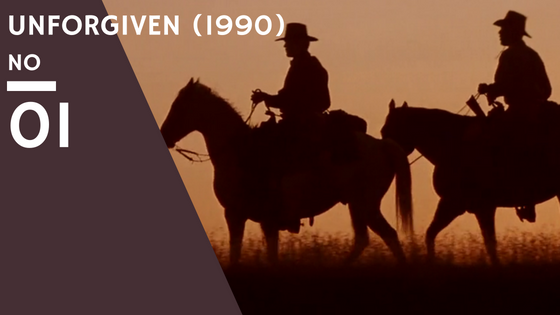 After Unforgiven critical success, the movie released on November 24, 1993. 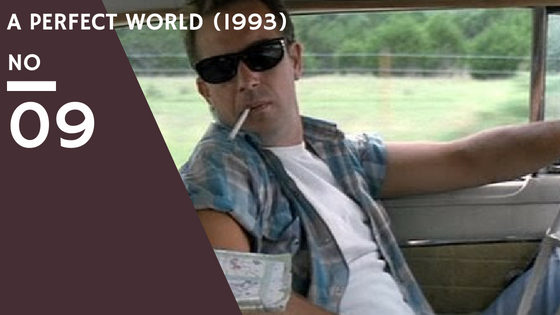 A Perfect World is a crime dram road film which tells a story of escaped convict (Kevin Costner) befriends with a young boy (T.J. Lowther) who took a road trip with the young boy. An unusual trip of a criminal, he adapts the story very well which was written by John Lee Hankcock. With this movie, he marked his achievement as an establish director. 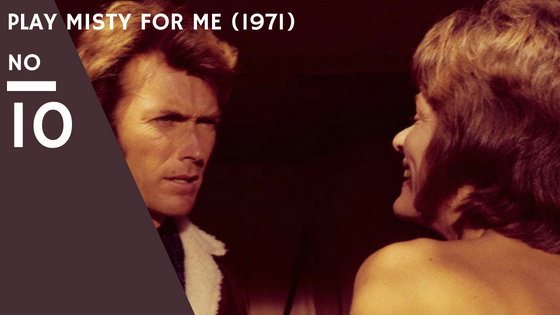 Clint Eastwood debuted his first directional movie with Play Misty for me and it’s on my top 10 Clint Eastwood directed movies. The movie sets a benchmark for Eastwood that apart from his acting skills, he could contribute more than that and he has done exactly with his all life long career and he is still directing and still acting in his own movies. Play Misty for me is 1971 psychological thriller movie where a KRML radio disc jockey, Dave Garner get into a mashed up relationship with obsessive Evelyn Draper. The film was well directed by Eastwood and still one of his best directional work so far.